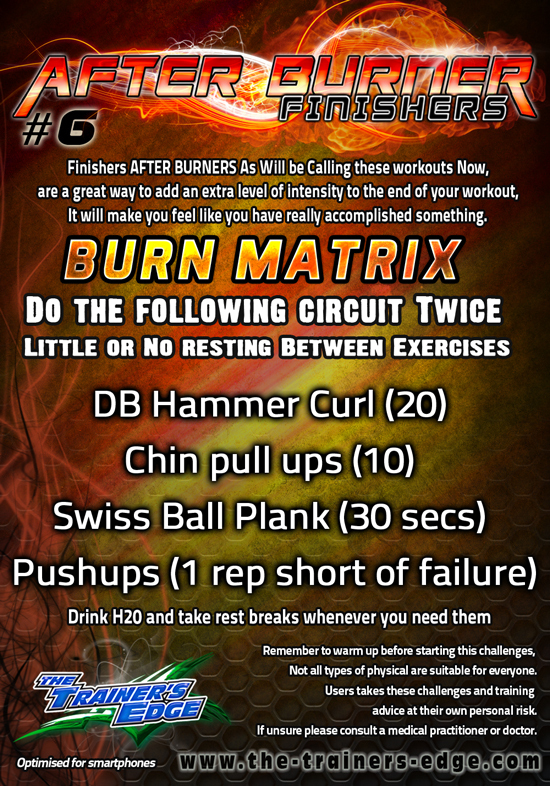 But you can easily use this Afterburner as a Workout in its self..
Just double it up if you only have 30 or so mins in gym.. I am fully trained and certified in many areas of training and strength and conditioning.. I am certified to train people on the Indo board..
Also Feel free to LIKE us on facebook!